Taking a haphazard approach to home energy efficiency is unfortunately a mistake that many homeowners make. Why waste time and money on an improvement that might not get you the results that you desire? Schedule a home energy assessment with Blanket Insulation Services to ensure you make the right upgrades in the right order. Detailed recommendations on what improvements to make and in what order. Potential savings of 5-30%* on your energy bill by making the upgrades identified in the home energy assessment. The ideal home is inexpensive to heat and cool, comfortable, and healthy. This may seem easier said than done, but with our in-depth home energy analysis, we can identify the precise locations where your home is using and losing energy, allowing us to demonstrate the upgrades that will make the biggest difference. Learn about the benefits of our comprehensive home energy assessment versus state-sponsored energy programs. During the typical home energy assessment, one of Blanket Insulation Services’s specialists will use different inspections and tests to determine the function, safety, and efficiency of the various systems in your home. Our expert may also use special equipment to pinpoint the locations where your home loses energy. Once we’ve diagnosed the whole home, Blanket Insulation Services can then compile a detailed report that will show you how your home uses energy and where there is significant energy waste. The other benefit of this assessment is that it will prioritize the order in which improvements should be applied to maximize your return. Don’t guess at energy efficiency! Getting a home energy assessment will prevent you from spending money and not getting results. Contact the skilled experts at Blanket Insulation Services to schedule a custom energy assessment today! Understanding how a home uses and wastes energy is crucial. The many systems and devices within the home work together to determine your home’s healthfulness, energy efficiency, and comfort. If a certain component isn’t performing like it should, the other systems are all impacted. Leaky, unsealed ductwork can cause a heating and cooling system to work overtime to maintain temperature, which you’ll end up paying for in your energy bill. If you already know that a certain part needs replacing, such as a water heater, don’t hesitate to call for a FREE estimate. If you don’t know where to start, a home energy assessment will identify your home’s weaknesses, providing the information needed to make key upgrades that will offer the greatest energy savings. Since we are part of the nation’s leading energy services contractor network, our technicians all receive special education at the Dr. Energy Saver training center. We don’t just provide the in-depth energy assessment- we also prioritize the upgrades and complete any selected improvements. Contact the energy experts at Blanket Insulation Services today. 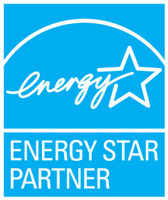 Call us at 1-855-224-0342 or contact us online to schedule a home energy assessment. We also provide fast, written to homeowners in Plymouth, Warren, Sterling Heights, Ann Arbor, Detroit, Livonia, Novi, Canton, Dearborn, Clinton Township, West Bloomfield, Ypsilanti, Farmington, Huntington Woods, Berkley, Clawson, Rochester Hills, South Lyon, Farmington Hills, and the surrounding areas. *Based on figures from the U.S. Department of Energy.